Run 5K To Gain Weight? 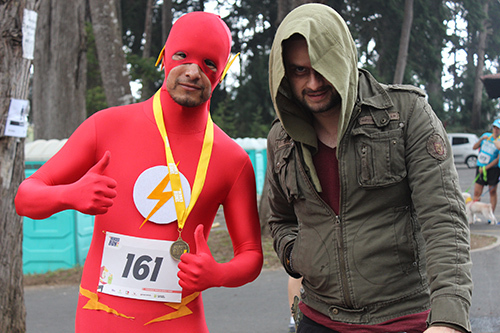 During the first half of this year, Food for the Hungry (FH) in Guatemala began organizing a 5K race in Guatemala City to raise funds for the construction of keyhole gardens in rural Huehuetenango. 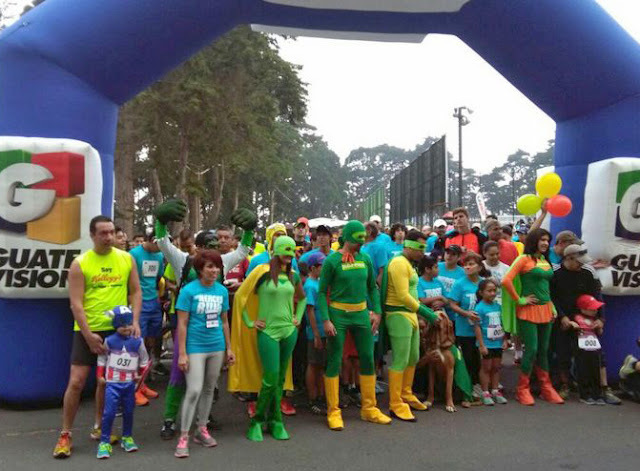 FH Guatemala decided to host what we called the Heroes Run to raise funds for programs, such as keyhole gardens, that help children gain weight in this country where child malnutrition is high. A keyhole garden is a garden on a raised circular bed with a narrow path leading to the center, where the gardener can reach the entire garden from one spot. FH teaches families in rural areas to build keyhole gardens so they can raise nutritious foods for their children to eat, thus improving their health and their ability to get an education. The word got out, and Guatemalans are uniting around a common goal: Eradicate chronic malnutrition in their country. It’s rare that I’m not up by 5:00 a.m. or so most days. But, one cool Sunday morning in March, I got up, got everyone dressed up in their most sporty outfits, threw the baby’s stroller in the trunk, and headed down to race area. The place was full of grown ups and kids dressed as their favorite super heroes — Spiderman, The Hulk, Batman or Captain America. 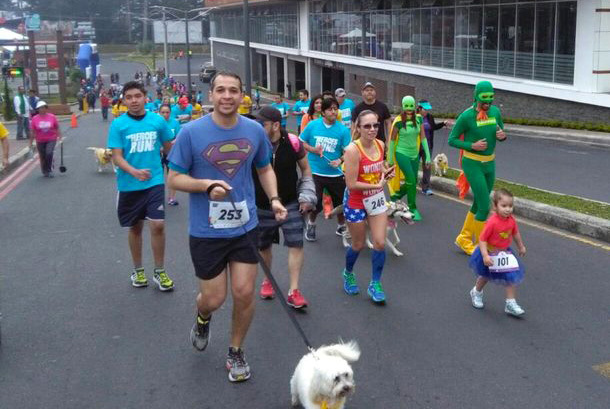 Others came as their own super hero inventions, or with their dogs as their sidekicks. Soon, the starting signal was given, and off we went! FH Guatemala staff were up even earlier than I was that morning, setting up the stage, laying out the course, installing hydration stations and setting up registration tables. My 3-year-old, Robert, and I checked in, pinned on our numbers and loosened up to zumba music, along with a crowd of 400 other people. Well, we were more towards the back with me pushing Robert and his sister, Riley, in the stroller, than really running. Though, being at the back has its advantages. From this perspective, I saw a sea of people running for various reasons — the greatest being for love of the most vulnerable. Together, we raised $4,400 to support the improved weight gain and health for hundreds of Guatemalan children. Thanks for all who participated, all who cheered us on and all who prayed for us!Honestly, I only managed to complete half the course with my little band of racers. 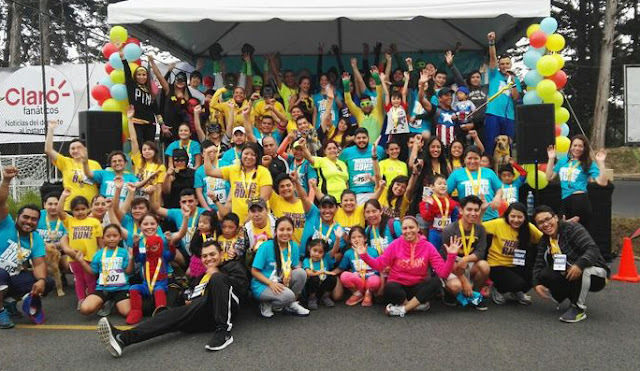 We got medals anyway, along with everyone else, to remind us of why we were even there to run that day — to help other Guatemalans have an opportunity to build their own gardens with the potential to improve their children’s nutritional status and overall health. WANNA RUN IN CANADA FOR FH? You too can run! Food for the Hungry Canada is partnering up with Run for Water in Abbotsford, BC, and Calgary, AB, to raise money for clean water for Sasiga, Ethiopia. 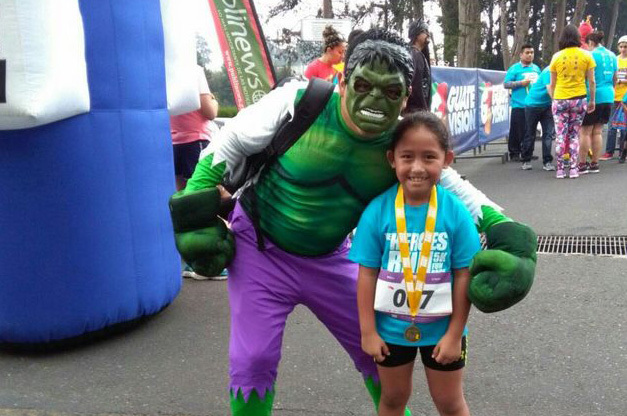 Join us for a 5K fun run, or a half marathon, or more! 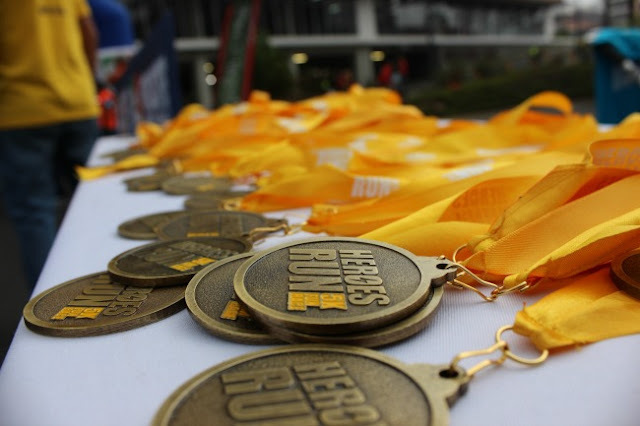 Food for the Hungry: Run 5K To Gain Weight?